WOOD BETONY - In ancient Greece, the common expression was "sell your coat & buy Betony". This plant was highly valued for all pains of the head & face as we still value it today. Wood Betony has the marvelous property of opening cramped or spastic blood vessels and thereby reestablishing circulation. * Practitioner please take note: It has been observed that when the circulation to an area (an organ or gland or the whole body) is made adequate, healing takes place. If you have eye problems such as cataracts (poor circulation to the lens of the eye causing it to turn cloudy and blurring vision), or in the case of glaucoma (circulatory fluid goes into the eye but cannot leave as easily, pressure builds up and can cause blindness), you want to normalize the circulation. Rub Wood Betony from the side of the nose over the upper cheek, up onto the temples on both sides of the face. Use 10-20 drops on each side 3-4 times per day. Do both sides of the face, even if the trouble is with one eye. The eyes are sympathetic, if one cries, they both cry. Here a discussion of eyes, and eyesight in general, is in order. In the main, vision, or seeing, is mainly a matter of seeing what we like to or what makes an impression on us. Look at things you do like calmly & admiringly to gain improvement of your vision. If blood vessels to the eyes are plugged with fat or cholesterol, use a digestaid such as Gentian, internally & externally, from the nose to the temples. If blood vessels to the eyes are plugged with "rocks" (waste mineral deposits), use Dulse for the thyroid (the thyroid controls calcium levels in the blood), 40 drops 3 times per day continually, & apply either of the two herbs, Gravel Root or Stone Root from the nose to the temples. If scar tissue blocks the blood vessels to the eyes, rub on Chickweed or V.V.H.-W. If you wish to strengthen the muscles which focus or hold the eyeballs straight or move the eyes, apply Vitamin E from 100 unit capsules. Vitamin E from a natural source strengthens muscles & is oxygenating for the "breath of life", as are many of the herbs. If vision problems still persist due to sinus congestion & pressures on the eyes, apply Bayberry or SI-W, and let the mucus drain out into the throat, and even through the eyes if necessary, until the vision returns. For improvement of night vision, 40-80 drops, per meal, of Dandelion Leaves and/or rub Vitamins A&D (fish liver oil source) from the sides of the nose & up onto the temples. Often Purple Loosestrife alone has restored sight. Rub this on externally 3 times per day as well. Then you have a team of herbs which are both known to oxygenate the head area. Many forms of depression & migraine headaches disappear, mental sharpness returns & brain coordination is restored when circulation returns to the head. A bowel program is essential to eye improvement. Remove bowel wastes more frequently so they do not get reabsorbed and move up to escape through the sinuses by using them as emergency exits. Take internally, 40 drops of Bayberry or SI.-W to liquify and drain the sinuses. Then congested sinuses do not choke or put abnormal pressure on the eyes. If you have to regenerate eye structures also apply, externally and liberally, the combination repair fomula Ol'#11. Sometimes the eyes & eye structures are "pouting" or "sulking" like an animal which has been mistreated. Usually this is due to emotional shock, bumps, blows or previous injury. To remove shock from the area & bring back the eager activity of the eyes, apply 5 drops of Arnica to side of the nose, across the upper cheek & onto the temple, 4 times per day. Repeat daily until the eyes regain their normal activity. 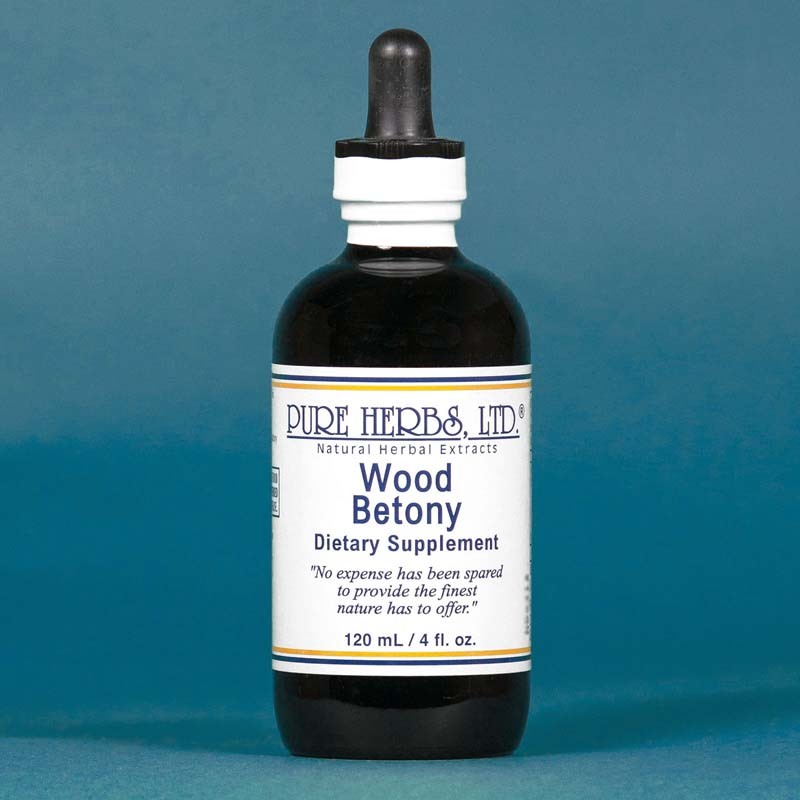 * DOSE:40 drops of Wood Betony internally, 3 times per day, and as given above.